Palestine, a land where olives have been cultivated for thousands of years, signs the 2015 International Agreement on Olive Oil and Table Olives, becoming the IOC's newest member. Palestine was added as a member of the International Olive Council (IOC) on April 9, 2017, bringing the total number of IOC members to 14 (the European Union is counted as one member). The State of Palestine became a member of the IOC (a United Nations organization) following its ratification of the 2015 International Agreement on Olive Oil and Table Olives. 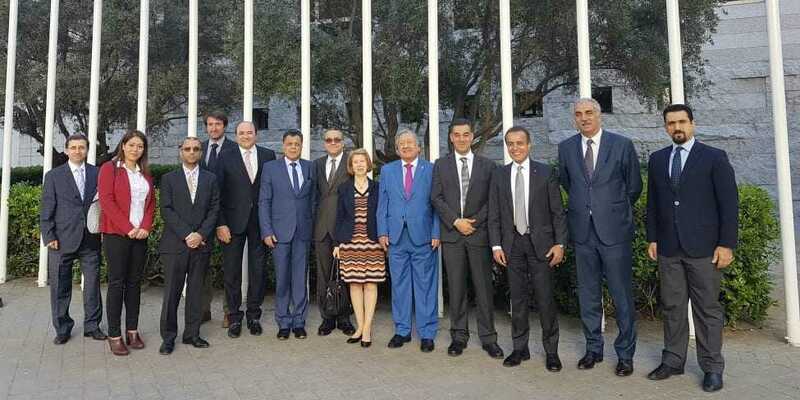 To commemorate the event, Abdellatif Ghedira, the executive director of the IOC, welcomed Musa Amer Odeh, the ambassador of Palestine to Spain to IOC headquarters with other IOC staff and ambassadors and diplomats from Oman, Tunisia, Algeria, Qatar, Jordan, and the Arab League. Ambassador Odeh thanked IOC staff for the welcome and reminded those present of the olive tree’s significance as a universal symbol of peace. The occasion was marked by the hoisting of the Palestinian flag at IOC headquarters next to the flags of the other IOC member countries. Palestine had been seeking membership to the IOC since 2013 when its application was blocked by Germany and the United Kingdom because of concerns that it could disrupt Israeli-Palestinian peace talks. Under the conditions of the talks, Palestine was asked to not join any UN organizations or address the International Criminal Court in The Hague in exchange for Israel’s release of Palestinian prisoners. Olives have been cultivated in Palestine for thousands of years and are a major agricultural crop. Palestinian olive farmers have faced difficult challenges in zones under Israeli military control, like the requirement of permits to harvest their olives, while thousands of olive trees and saplings in the West Bank have been uprooted and damaged by Israeli settlers. According to IOC figures, 24,500 tons of olive oil were produced in Palestine during the 2014/15 crop year, with 6,500 tons exported to other countries.